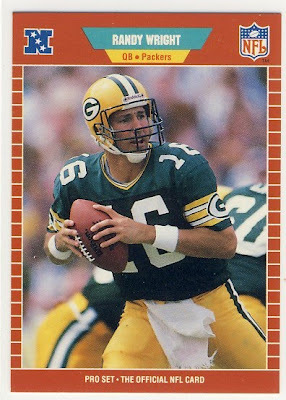 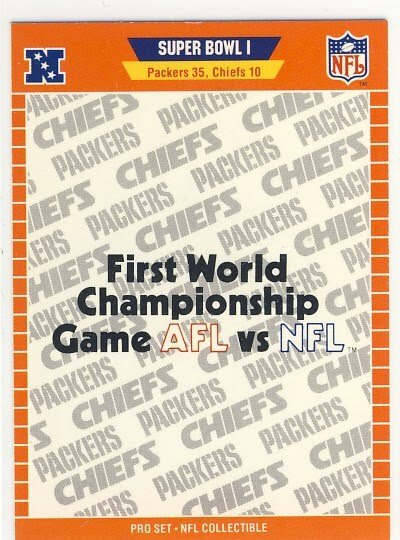 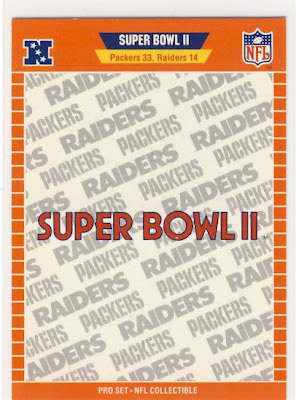 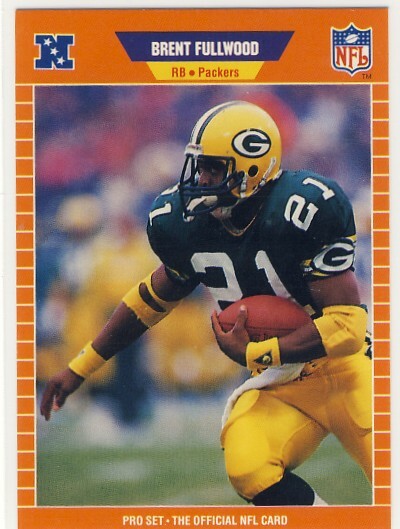 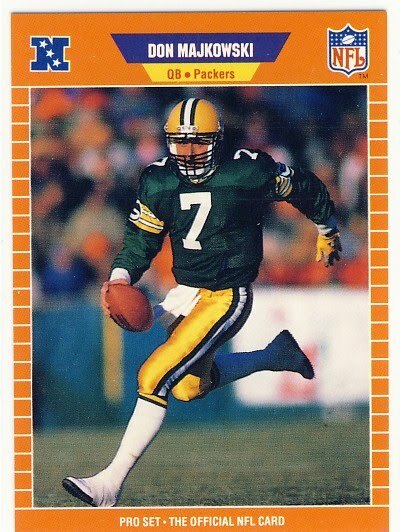 The 1988 season saw the beginning of the all too brief era of Don Majkowski as the Packers savior. 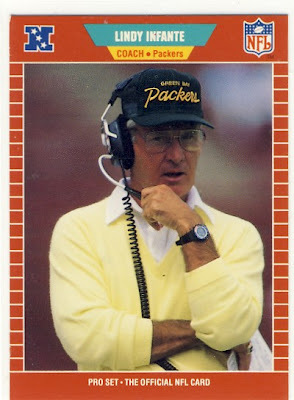 Don started nine games during the season but the team only finished 4-12. 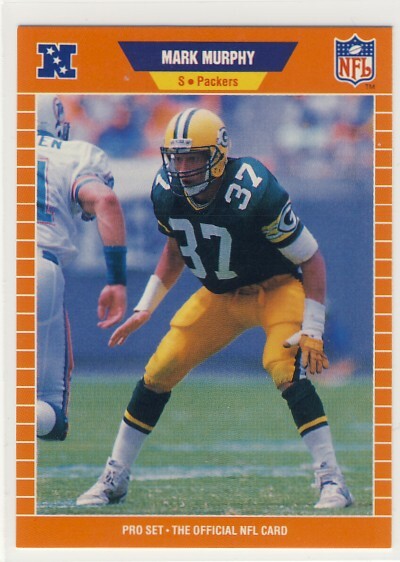 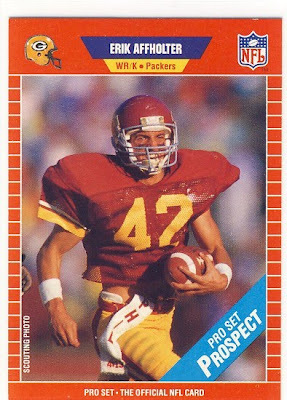 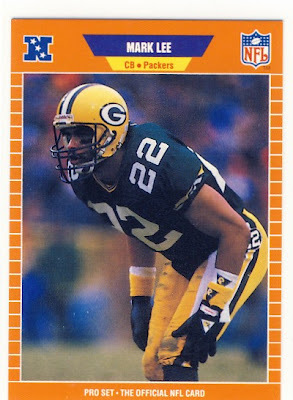 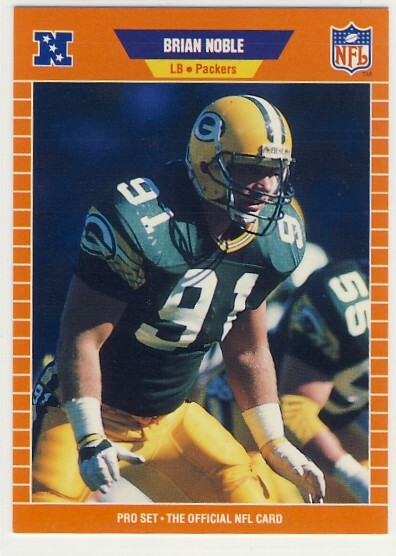 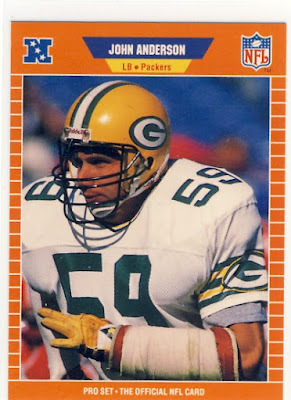 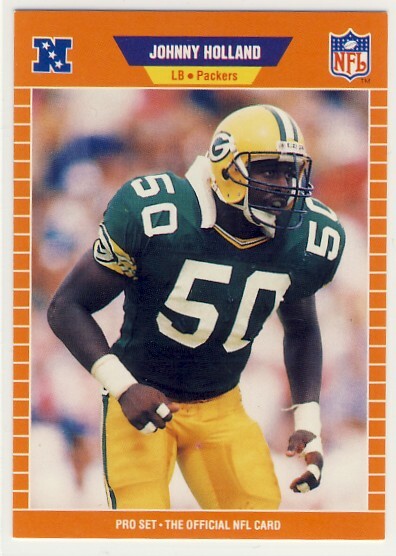 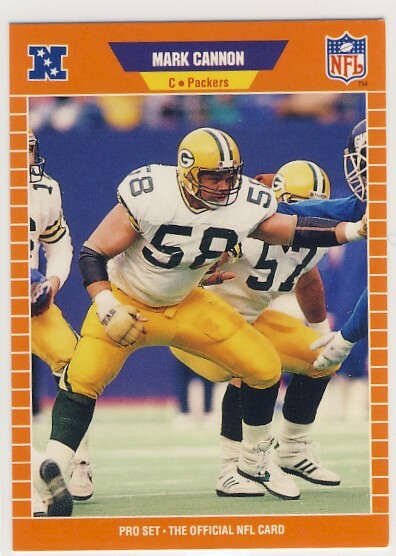 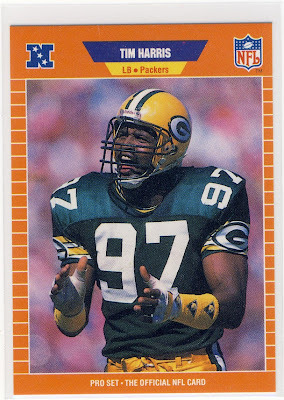 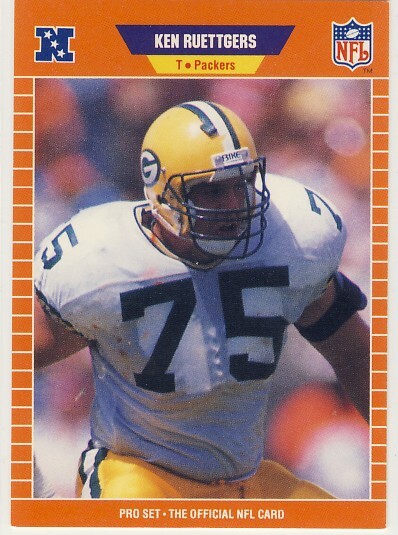 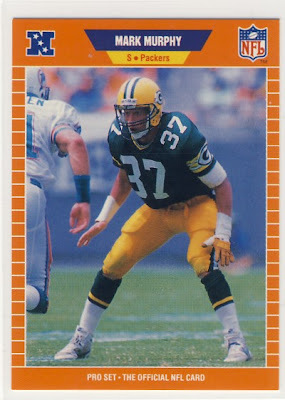 The next season the Packers would choose Tony Mandarich before Barry Sanders, Derrick Thomas, Deion Sanders. I do have to give it to Pro Set for doing one thing in particular. 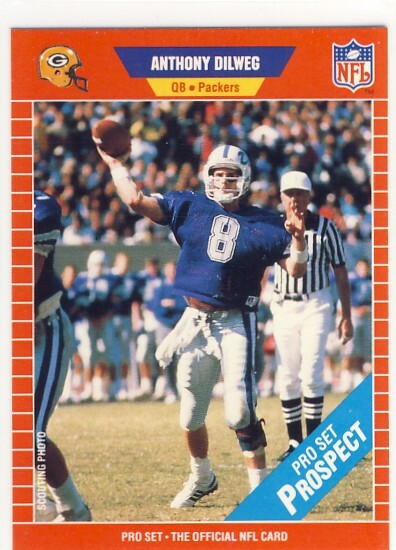 It finally gave linemen, punters, and kickers a chance to get cards made of them again. When Topps went down from 528 cards to 396 in a set in 1983, it did make sets easier to put together, but it also made the sets focus largely on glamor positions. Pro Set made a card of pretty much everybody they could find, and set the tone for larger sets that lasted quite a while. 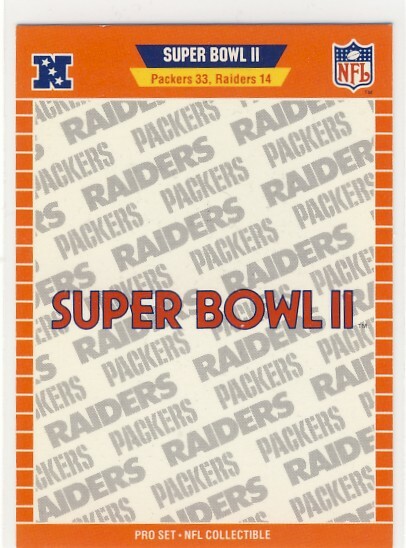 It makes me miss Topps Total. 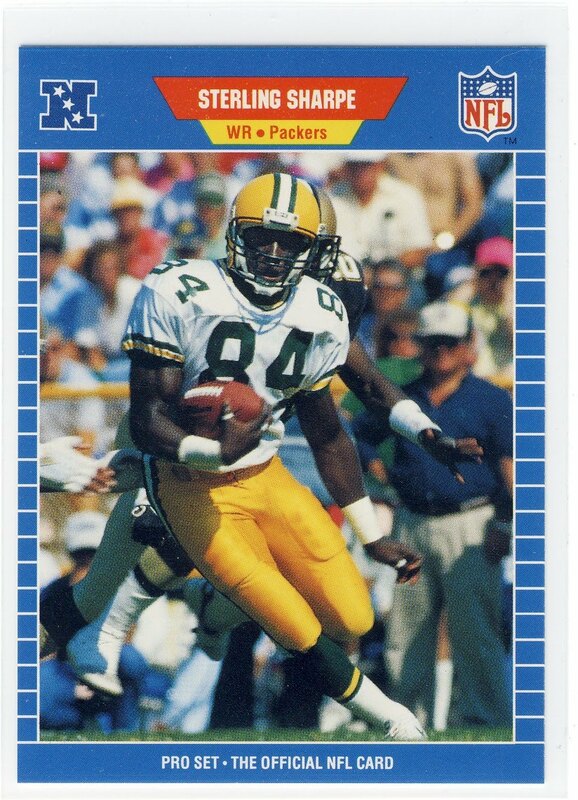 I mean, where else are you going to get a Jerry Rice as a Bronco?